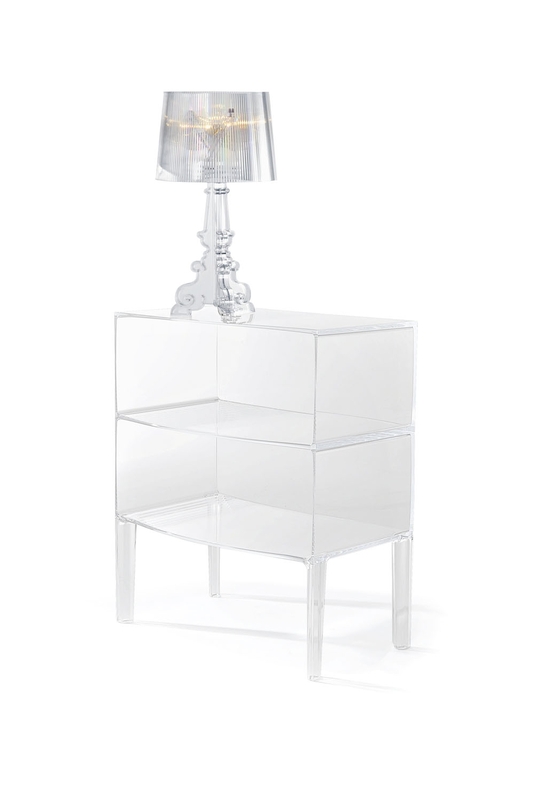 The Kartell catalogue adds yet another piece to its furniture collection, the Ghost Buster commode. 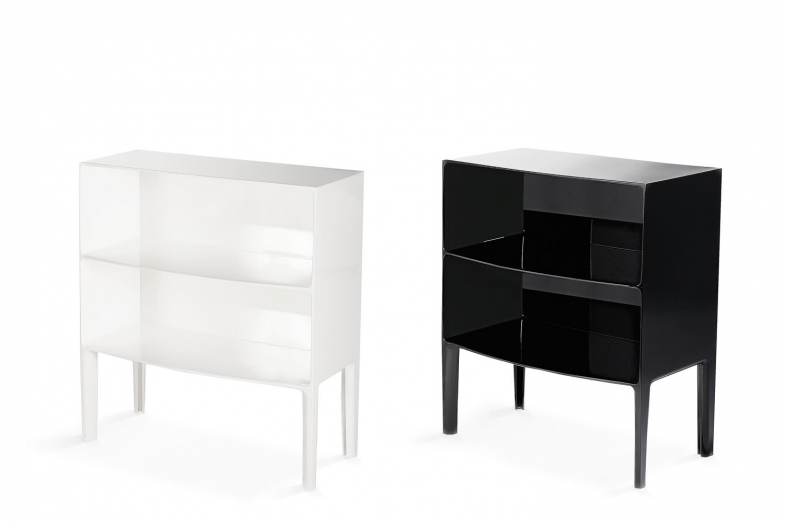 Philippe Starck has taken a new look at it and the Kartell-style commode evokes the lines of classic furniture but with a contemporary accent in Its transparency and plastic. Corners and curves, straight lines and sinuous lines play over its surfaces and spark an intriguing game of eye-catching perspectives and reflections. 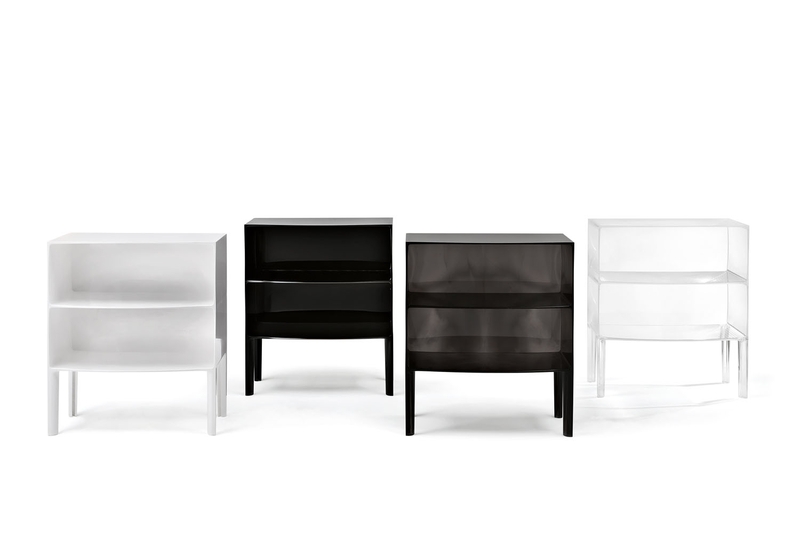 With three open frontal shelves and sitting on four bifacial legs, Ghost Buster is the largest plastic monobloc ever made in the world of furnishings â€“ just another successful demonstration of Kartellâ€™s determination to break down all the barriers of technical challenge.